New and Old Choir Members Celebrate. 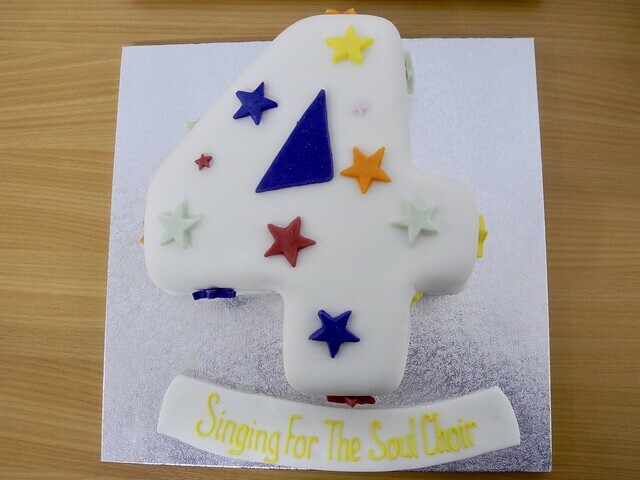 Last week, ‘Singing for the Soul’ choir celebrated its fourth birthday in style with lots of lively singing, eating and drinking (tea and coffee only!!) Four years ago a group of women met up at Coldwell Cafe, for a singing day, under the leadership of Janet Swan. As a result, the choir was born. Now many of those women are still singing with the choir though we have welcomed many new members since those early days. 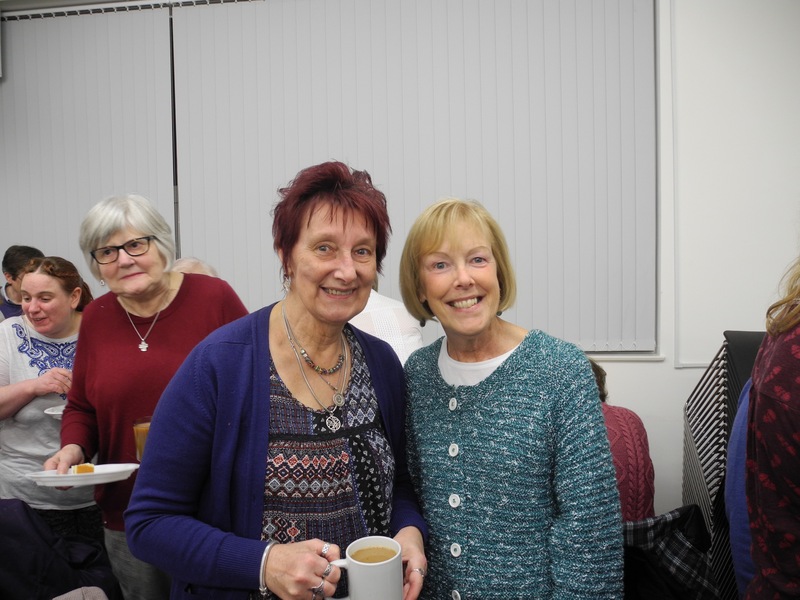 So on Tuesday, 10th of March, we invited old and new members to our celebration and were delighted to see so many enthusiastic singers coming through the doors of Brierfield Library where we now meet. After a gentle warm up we learned some new songs amid much laughter and enjoyed sharing some old ones with our guests who had not been to the choir before. In the break we all got to know one another better over a brew and a piece of birthday cake. Thanks to Sue for getting the lovely cake and to Janet for organising the event. At nine o’clock we all said our goodbyes with a spring in our step and promises from many of the guests that they would be returning! It was so good to share our momentous occasion with so many people and will be delighted to see them all at our next singing session! The photo, above, is of the writer Marie (on the right) who brought her friend Sheila, who has now decided to join the choir. 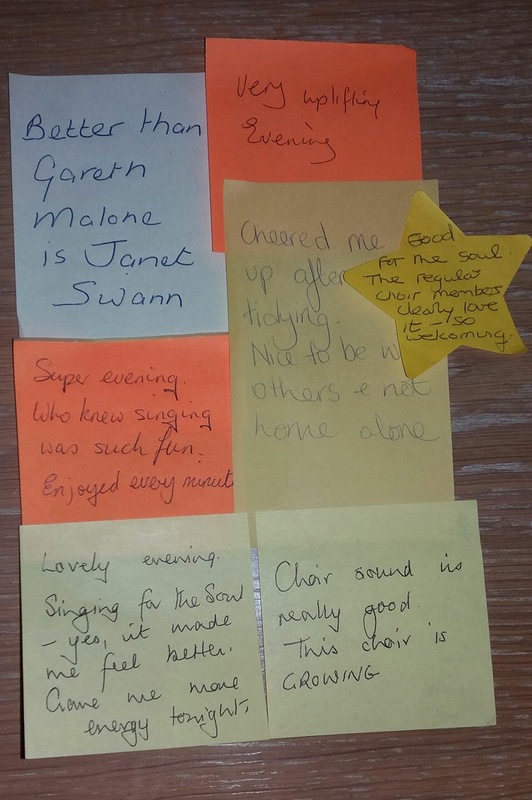 The photo, below, shows some of the comments people wrote during the break. Click on on the image below to see all the photos.